Victor Oladipo is like a struggling mother. He shuffles off to work each day, picking up extra shifts, staying late, working overtime, missing his family, just trying to make something out of the 2013 NBA Draft class. Historical and socioeconomic factors conspired to result in his No. 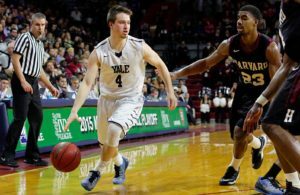 2 overall selection–specifically, the fact that he was born in 1992, and that he played three years of college basketball at Indiana. Yet here Oladipo is, now thriving in his fifth season in the league, having found his niche, and figured out a way to put his proverbial kids through college. (His real kids are going to be fine, of course. He’s making $21 million a year). 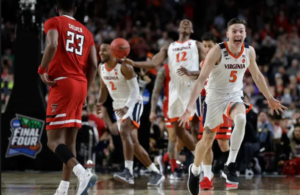 The former Indiana Hoosier has found some kind of barnyard-goal Hoosier magic since he was sent back to the state as part of the Paul George trade. He and Lance Stephenson, who signed back with the Pacers as a free agent, have been re-energized like Larry Bird after a ride on the tractor and a few Bud Heavys. Oladipo is balling like he’s back in the Big Ten, averaging 24.5 points and shooting 48.5% from the floor and 44.4% from three (all career bests). His jumper is Jimmy Chitwood-sweet; it’s like it found him when he crossed back over the border. Maybe Norman Dale-inspired defense comes back to you too, as Stephenson is once again a defensive menace. He’s getting crunch-time minutes and firing up adoring fans, who love him like he played for Hickory. Stephenson hasn’t played this well since becoming a meme. Vic went from the equivalent of a dead-end job (guard for the Orlando Magic) to a top-level apprenticeship (sharing a backcourt with Russell Westbrook), now, to the deee-luxe apartment in the sky–er–Indianapolis. 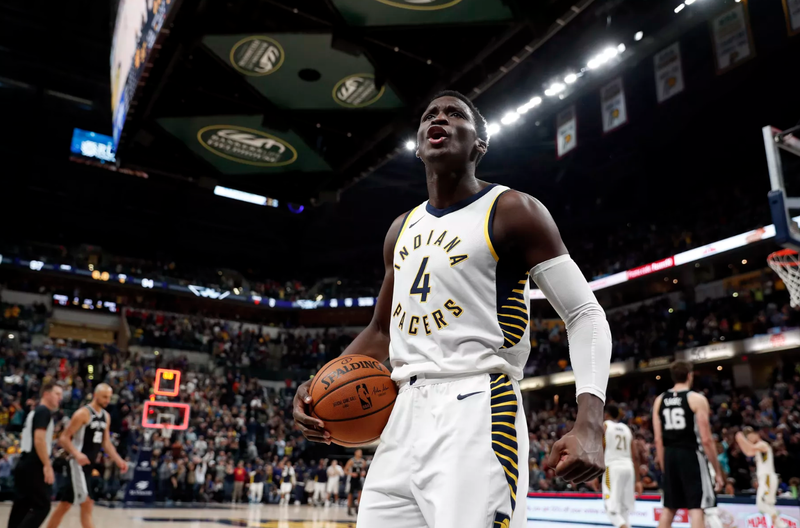 His Pacers are more than making ends meet at 16-11, and Oladipo just won the Eastern Conference Player of the Week award after going for a resume-topping 47 in Indy’s ABA-style 126-116 track meet win over the Nuggets on Sunday. Oladipo sounds like his old teammate Russell Westbrook in postgame interviews, and seems to have adopted that “Why Not?” philosophy that Russ has made his personal credo. 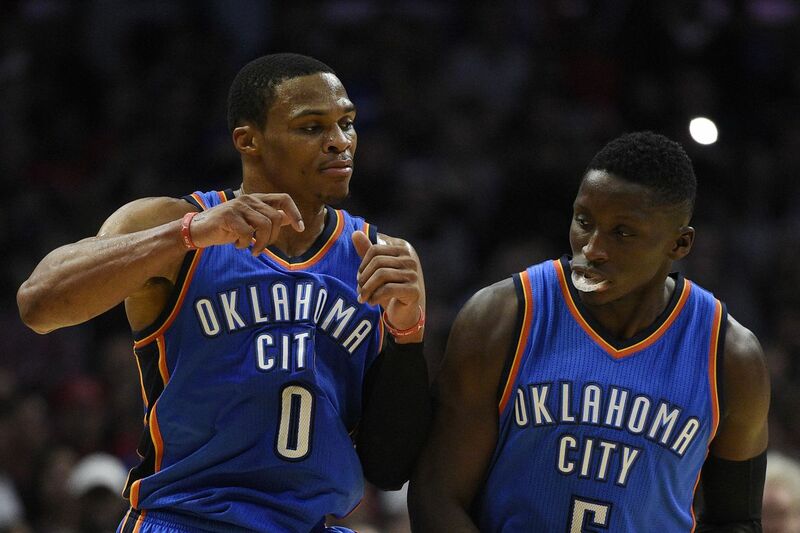 Westbrook was the perfect role model–despite being undersized, Oladipo has shown similar traits–unreasonable athleticism, an uncommon tenacity–and not to mention, he shoots the ball better than Russ ever did. OK, Indiana isn’t Boston with its ritzy 23-5 record and its young, successful coach, or Cleveland, with its trophy wife (LeBron James). But this Christmas, Pacers fans might actually have something to be excited about. They’re moving on up, and so are we….tooo the rankiings…. 1. 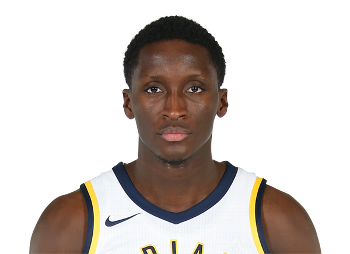 Victor Oladipo, G, Indiana: Nuggets don’t fry in the kitchen, beans don’t burn on the…OK, we’ll stop. But Vic did vault himself, Jeffersons-style, into the deluxe spot in these rankings after cooking Denver for 47 on Sunday. Oladipoooooo (shoutout Chris Webber) has also gone for 33, 27, and 36 in five games this month, and Indy has won four straight. This kid is going to be an All-Star this year, and at just 25 years old, seems to have found a familiar home in Indiana. 2. 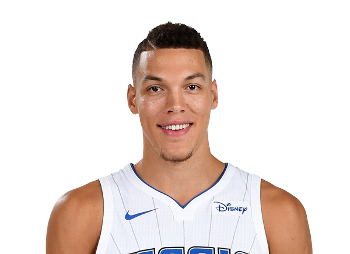 Aaron Gordon, F, Orlando: He’s always been built like a Monstar, but this season, it seems like Gordon has stolen former Magic guard Ben Gordon’s ability to shoot the 3. Not that Ben would know anything about theft. Aaron is knocking down treys at a 40% clip, up from an anemic 28% last season. He’d never shot above 29% in his career coming into this year, and not many basketball observers ever thought he’d be a knock-down 3-point guy. Gordon’s also shooting it at 49.2% from the floor, and posting a career-high 18.5 points and 8.1 boards per. 3. 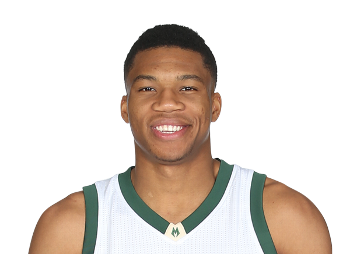 Giannis Antetokounmpo, F, Milwaukee: Speaking of “the new NBA,” this dude might be the poster boy for it. His Freakiness has earned the Steph Curry Memorial candidate spot, as he’s back in the rankings despite having won the award last season. Like Elon Musk and his mission to Mars, Giannis is testing the limits of human accomplishment. The 6-11 virtual 2-guard is averaging an obscene 29.8 points and 10.4 boards per, and has thrust himself into MVP conversation. Even more impressively, he’s made the Bucks relevant. 4. 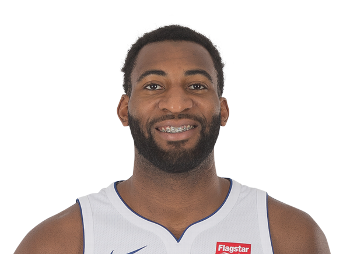 Andre Drummond, F/C, Detroit: Big ‘Dre deserves a spot in these rankings based on his free throw improvement alone–he’s at 60 percent, up from 38 (!) last season. An ability to consistently make free throws would be a huge deal for Drummond, and would represent a major milestone of growth for him. It would also help keep Stan Van Gundy’s blood pressure below critical levels. Stan Van can keep him on the floor late in games, and cashing in on some of those free points will help his average, and his reputation around the league. Drummond is also putting up a ridiculous 15.3 boards per, and has been the biggest reason for the Pistons’ success (14-12) so far this season. 5. 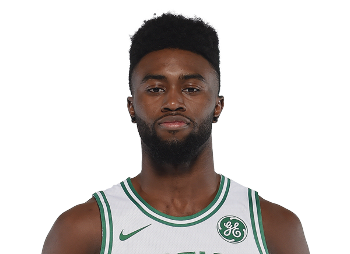 Jaylen Brown, F, Boston: This might be the laziest take of the season, but it’s legit–Brown and Jayson Tatum have benefited from extra minutes in the absence of Gordon Hayward. That could help the C’s come April. 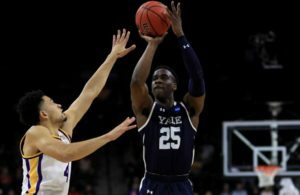 Brown has more than doubled his ppg total (14.7 per, up from 6.6), and is averaging 5.8 boards and shooting 46.5% in 31 minutes per game. Related: Is Donovan Mitchell the Rookie of the Year? ← Older What would the All-Time Big East Standings look like? Newer → Rookie of the Year Rankings: Has Donovan Mitchell taken the top spot?